Q. Hyderabad International Trade Exposition Limited (HITEX) is a state government initiative. Does this give the venue a privilege of support from the state itself in case of funds and policies? How does the Venue maintain the international standards? A. Yes, HITEX was established by the State Government under public-private partnership mode. Representatives of Govt’s holding entities are on the Board of HITEX, monitoring, guiding and supporting HITEX in its operations and development. Government of Telangana is a very proactive and industry friendly government and they have also made it easy for organising and participating in exhibitions. It is prime strategy of HITEX to offer and be recognised as a venue offering best customer service. HITEX constantly strives to understand, learn and adopt best global standards. HITEX is an active member of global associations – UFI, IAEE, AFECA, etc. and 17 of HITEX’s senior staff are Certified in Exhibition Management (CEM) from IAEE, USA. Q. Kindly tell us about the facilities available at HITEX for hosting exhibitions and conferences. A. We have 10,500 sqm of worldclass indoor air-conditioned multi-purpose event space (was designed by German Architect – JV Consult and built by Larsen & Toubro Ltd.) and 60,000 sq.mtrs of outdoor event spaces, apart from ancillary facilities including VIP Lounge, Business Centre, MesseBistro (all day restaurant), Free Wifi, Bank ATMs, Organizer’s office, Fully equipped Paramedic Centre, Parking Facility for 3,500+ cars, Onsite branding infrastructure (road medians, hoardings, lollipops, digital displays, etc.). Q. How has your experience at HITEX affected, influenced or motivated you personally? A. Being in tier-2 metro (Hyderabad) and competing with cities like Delhi and Mumbai to attract exhibitions and striving to make them achieve success here, has got me involved in various aspects of exhibition management and taught me a lot about the exhibition business and industry. Now having got the opportunity to lead the Indian Exhibition Industry Association and getting actively involved with global industry association has me more learned and motivated to work for the development of exhibition industry. Q. HITEX is looking forward to organise SportExpo India 2017 in August. Kindly tell us more about the show. What will be the highlights this year? Q. HITEX’s event calendar is getting marked by back-to-back shows. Which are the other upcoming aashows at HITEX? A. That’s right, we’re ending every year with back to back shows delivering world-class facilities for events, conferences, exhibitions and trade fairs in the contemporary space. 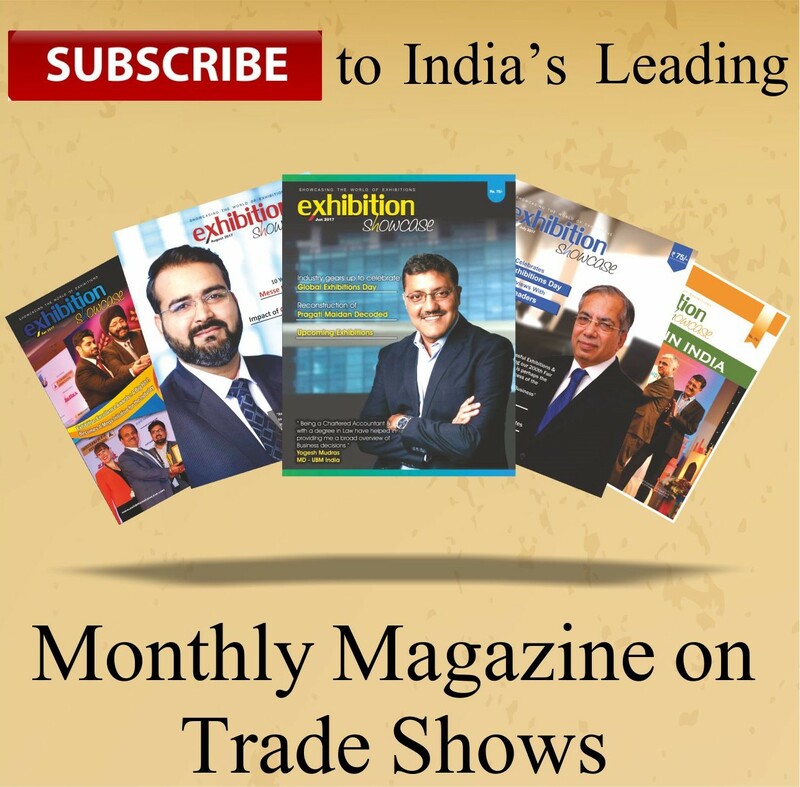 Besides SportExpo India, the upcoming shows at HITEX are Safety Security India, Petex India, Deep Mela, Pharmalytica, Agritex, Hyderabad Comi Con, Kitchen India Expo, India Lab Expo, TREDA, Poultry India and many more..
Q. Which has been the most challenging show so far, organised or hosted by HITEX and why? A: Indian Road Congress (IRC) 77th Annual Session, the prestigious national event was one of the most challenging events in our forte, we were the event manager for this event hosted by Telangana Govt. As this national forum consisted of various technical and commercial sessions, the participants were from across the globe. Coordination of various components of this event from start to finish was positive, starting from venue management, hotel accommodation, delegate logistics, registration, attendee communications, exhibitors and sponsors, speakers, technology, networking, on-site meeting management, branding, signages, logistics, catering, etc. This was also the highest revenue generating event for HITEX. Q. How favourable and receptive is Hyderabad as a city for the Exhibition Industry? A. Hyderabad is termed as the MICE capital of India, a complete ecosystem for organising MICE events has been established here. From an award winning international airport to international standard expo centre to over 6,000 high quality hotel rooms (in the vicinity of HITEX), everything is well positioned in Hyderabad. The State Government is extremely supportive of Exhibition Industry and receptive of their requests and demands. The City recognises that, promoting and welcoming Meetings, Incentives, Conferences and Exhibitions (MICE) to the city helps in positioning the city in the global market, thus stimulating the State’s industry and economy. It is notable to mention that there is only one simple permission required to be taken by an organiser to host his exhibition in Hyderabad, 23 and 19 permissions resp. Required to be taken in Mumbai and Delhi to host their events. Q. What is your vision for HITEX? Are you planning any major developments in the venue? A. Out management’s vision for HITEX is to see the venue become uniting force and leading exhibition center of the South Asia Region. While we are working on a long term plan towards this, the immediate plan is to add 12,000 sq.mtrs of high quality multi-purpose event space which can host exhibitions, conventions, sporting events, musical events, etc. We have also started works related to upgrading our open spaces, entrance plaza, parking areas, etc. Q. Under the CSR activity, HITEX has adopted a Primary School and is taking care of its maintenance. Have you ever thought about introducing children to the Exhibition Industry and building awareness about it from this very stage of education? A. As a part of Corporate Social Responsibility (CSR), HITEX has adopted a Zilla Parishad Primary School, which is located close to HITEX and has about 280 children including children of our contract staff. We have upgraded the infrastructure and are maintain the school, provide students with books, uniforms, etc., we are also providing two trained vidya volunteers to fill in for shortage of teachers. We keep inviting the children to participate in activities that are conducted at HITEX, they also get to see some of the exhibitions. Q. Your passion for the work and your command over the responsibilities handed over to you is reflected in the success of your shows. Do you have any other passion besides this? Do you enjoy any specific form of sport or art? A. I used to be a sporting person, used to enjoy playing outdoor games, especially Cricket. But, lately I am unable to devote time for sports. Occasionally we have sports meets in the office and a game of cricket, I thoroughly enjoy playing Cricket. Most of my exercise and relaxation comes playing with our pet dog ‘Oreo’ (a beagle). Next articleInterview with Mr. Sanjiv Agarwal, Founder CEO, Fairfest Media Ltd.
Interview With Mr. Om Prakash, Director – InORBIT Tours Pvt. Ltd.